One thing synonymous with Louisiana is alligator, and for good reason - they're everywhere out here! 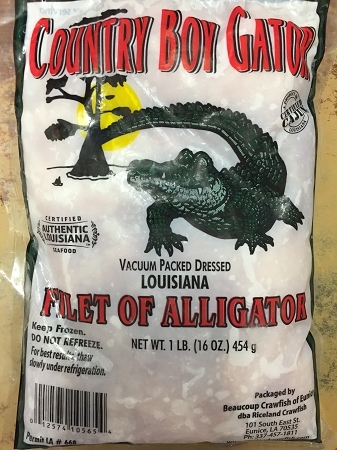 Years ago, enterprising Cajuns decided to hunt the beasts, and we're glad they did, because alligator meat is delicious. These fillets come from wild Louisiana alligators, and we're sure you'll enjoy them just as much as we do. Don't worry, they won't bite back. Awesome flavor and very tender. I will be ordering a lot of this.